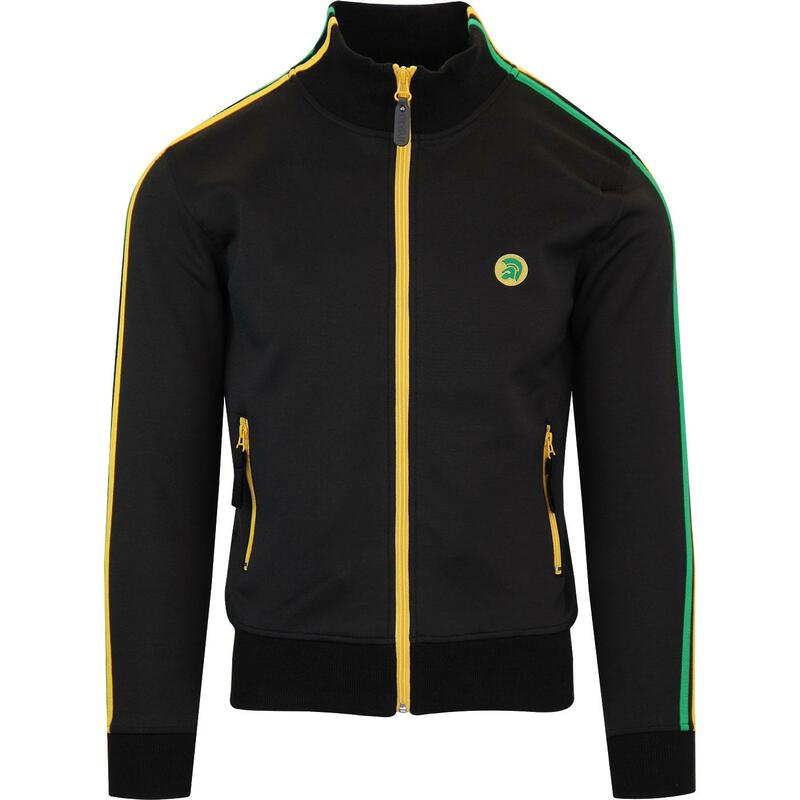 Trojan Records go back to their 70s reggae roots with this mod track top in Jamaican colours. Black trackie top with retro green and yellow Jamaica inspired twin stripes to sleeves and collar. 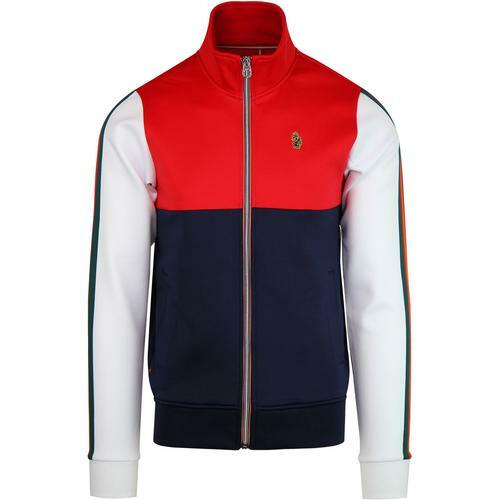 70s style funnel neck collar, zip fasten front in contrast yellow, embroidered Trojan Records helmet logo in yellow and green to left chest. 2 yellow zip side pockets. 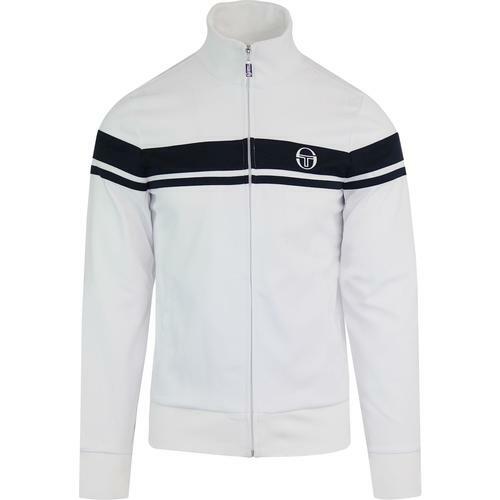 Mod 70s throwback Track Top from Trojan Records. 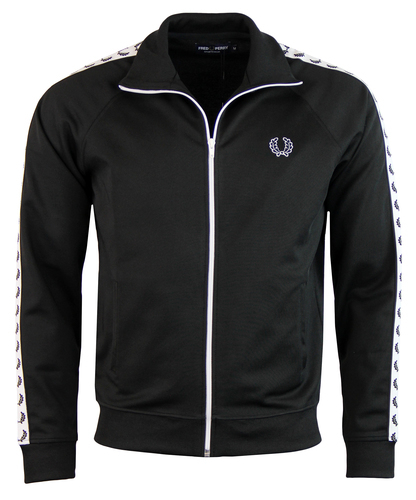 Retro Trojan Records track zip top. Colour: Black top withe embroidered Trojan helmet. Twin striped detail to the sleeves and collar. 70s style funnel neck collar. 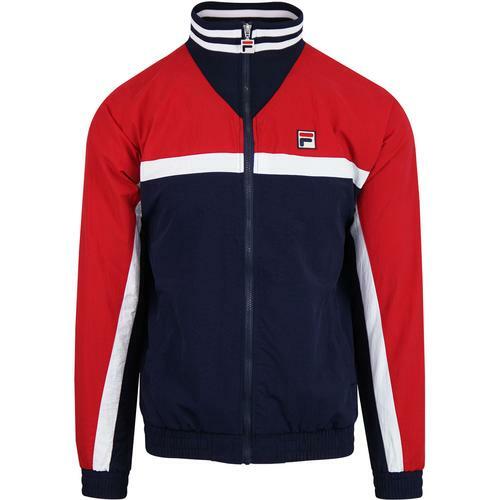 Composition: 90% Cotton, 10% Elastane.